There is a growing movement in Mumbai to recast ‘slums’ as ‘homegrown neighborhoods’ or ‘resident-generated neighborhoods.’ The idea is that affordable housing is being built and improved daily by experienced local contractors, masons, plumbers, electricians and other skilled laborers, and their work represents an asset to be developed rather than a blight to be excised. In other words, user-generated cities are the solution, not the problem. Civil-society projects like Urbz (a collective of architects, designers, urban planners, anthropologists, economists and policy makers) seek to empower residents of ‘homegrown neighborhoods’ by highlighting their talents and capacity and by working with residents to develop engineering and architectural improvements. According to United Nations estimates, around 1 billion people now live in informal urban settlements. These ‘slums’ are typically viewed as illegitimate and undesirable by authorities, and their residents feel alienated and abandoned, if not actively harassed. The lack of formal recognition excludes residents of these areas not only from services and opportunities, but from decision-making processes about the future of their city and from a sense of belonging to the urban community. Urbz believes that “residents are experts of their neighborhoods.” The collective was founded in Mumbai following a workshop in which international urban planners tried to resolve a dispute between fishermen and the local government regarding redevelopment in Dharavi (Dharavi is Asia’s largest informal settlement, home to more than a million residents). In surveying the work of local artisans and masons, Urbz and its partners documented a rich set of materials, techniques and designs. They noted that although local builders are usually self-trained, they have developed a thriving construction trade that identifies and meets resident demand. Urbz then sought to collaborate with local artisans and residents to showcase their talents, remove the stigma associated with these communities, and propose improvements that would preserve the built environment as well as the social fabric of the community. This approach has been a response to more common policy interventions, such as evictions and relocations to high-rise buildings. 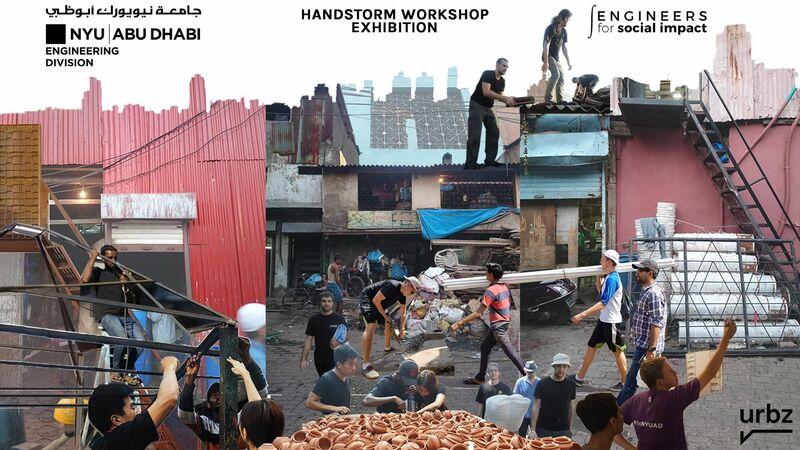 Urbz and its partners organized a series of exhibitions to present the work of local builders. For example, in 2016, Urbz invited local masons from Dharavi to draw up a blueprint for an ideal house for their neighborhood. Then, local artists from the same neighborhood were tasked with producing miniature models from the blueprints. These models were featured in a public exhibition called 'The Design Comes as We Build,’ which toured Mumbai and a number of other cities. Urbz and its partners have connected local builders with architecture and urban design professionals, as well as with their counterparts from homegrown neighborhoods in other countries, including Brazil, Colombia, and South Korea. These collaboration and learning opportunities have enabled local masons to improve their construction techniques and develop low-cost, high-quality structures that serve the specific needs of the community. For example, a “cool roof” made from readily available recyclable plastics can reduce the temperature in dwellings by four to five degrees Celsius. Urbz has also entered design competitions with systems that promote incremental growth which would strengthen and improve existing structures. For example, proposing a structural frame that would support water and electrical service and provide more stability so that homeowners could add more stories or a roof garden. In Khotachiwadi, a four-day workshop brought together young artists and residents to produce graphics that document the neighborhood’s past, raise awareness about its present, and envision its future. 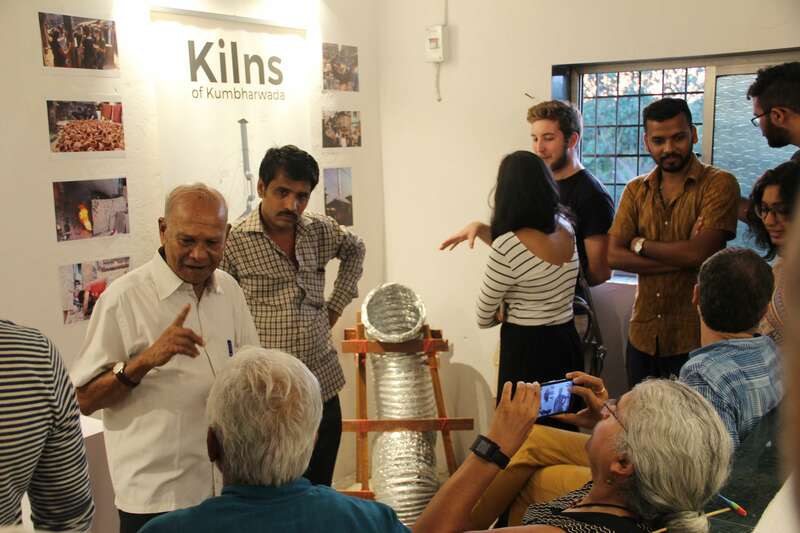 In Koliwada, Dharavi, a week-long workshop connected artists and architects with local residents to achieve similar goals. Dharavi residents perceive their local government as an obstacle rather than a partner. However, they were able to secure municipal funding and approval for a public space for women and children, based on consultations and research conducted by Urbz. Residents of informal settlements learn to build their own homes in the absence of affordable housing. And in the same way, people will organize themselves into organic social and political communities, with informal but very real institutions of governance, when official authorities fail to provide organization and representation. According to Urbz, there is a disconnect between formal and informal systems whereby residents can and do participate in their formal local government, but their informal systems are not recognized—which leaves resident-generated solutions on the table. Rejecting the denigrating language around ‘slums’ and recognizing the value within these human communities is an important step forward. But seeking formal recognition for informal settlements is also important, as research suggests this can have a profound effect on inclusion and wealth, even absent the documentation of individual property rights. Working since 2000, Catalytic Communities (CatComm) aims to change the narrative on favelas, Brazil’s informal settlements, while strengthening and empowering local communities. Its current activities include a local news website, RioOnWatch, which has become a megaphone for favela residents to tell their stories to both local authorities and international journalists, many of whom descended on Rio for the 2016 Olympics. CatComm also conducts an annual Favela Perceptions Survey.